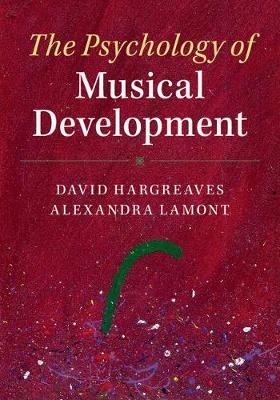 The Psychology of Musical Development provides an up-to-date and comprehensive account of the latest theory, empirical research and applications in the study of musical development, an important and emerging field of music psychology. After considering how people now engage with music in the digital world, and reviewing current advances in developmental and music psychology, Hargreaves and Lamont compare ten major theoretical approaches in this field - including cognitive stage models and neuroscientific, ecological and social cognitive approaches - and assess how successfully each of these deals with five critical theoretical issues. Individual chapters deal next with cognition, perception and learning; social development; environmental influences on ability, achievement and motivation; identity, personality and lifestyle; affect and emotion; and well-being and health. With an emphasis on practical applications throughout, this book will be essential reading for students and scholars of music psychology, developmental psychology, music education and music therapy.